With alternative medicine and therapies gaining more positive exposure, chemical-packed pills and invasive methods of treatment are increasingly being questioned. Armed with better knowledge and information, individuals look for natural remedies that are less expensive and are free from harmful side effects. Yoga is an integrated holistic practice that not only keeps us physically healthy, but also helps in other aspects such as stress relief, pain management and everyday ailments. What if you were told that yoga also promotes healthy and beautiful hair or can even be your solution to hair loss? Read on to find out how! According to ancient Ayurvedic texts, besides helping to alleviate stress, eliminate toxins and relieve headaches, massaging the head also stimulates hair growth by increasing blood circulation to the hair follicles. The use of natural and essential oils (e.g. sesame oil, coconut oil, almond oil, olive oil) is also highly recommended. The oil that seeps into the scalp helps to strengthen the roots and delay the process of graying hair. It also prevents hair and scalp problems such as dandruff and scalp psoriasis. 1) Gently stimulate the pressure points on the head by rhythmically tapping the entire scalp with your fingertips. 2) Gently massage the whole head with your thumbs and fingers, working from side to side and from the top of the head to the nape of the neck. 3) Press the heels of your hands to your temples and make slow circular motions. 4) Bundle your hair together and hold it together with both hands above your head. Inhale and gently pull upwards, exhale and gently press your shoulders downwards while maintaining the position of your hands. 5) Take fistfuls of your hair from the roots at both sides of your head, keeping the base of your palms close to your scalp. Gently tug from side to side by squeezing and releasing your grasp. 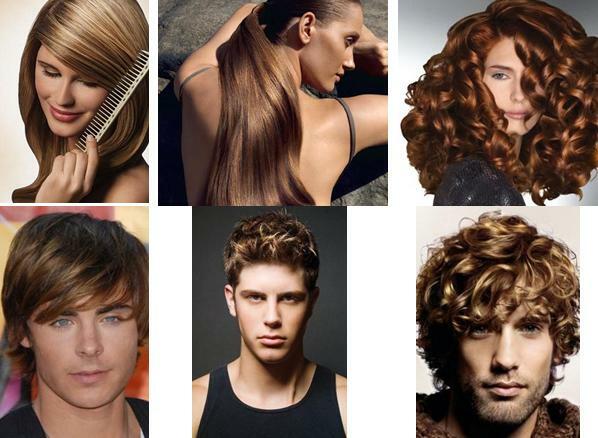 We might not realise this but hair related problems can be traced back to stress and tension. Deep breathing is a great way to relieve stress and tension that we have accumulated through all those years of shallow breathing. By practising deep breathing, tension is removed from the body. Oxygen and carbon dioxide can be exchanged efficiently, allowing nutrients and oxygen to be carried to the cells of the scalp, which in turn promotes hair growth. Besides trying to consciously breathe deeply, there are also exercises that can be performed to induce overall relaxation. Kapalabathi literally means “the practice that makes the forehead and entire face lustrous”. This breathing exercise helps to clean out the lungs by eliminating all the stale air. 1) Sit in a comfortable cross-legged position with your back straight and the back of your palms resting against your knees. 2) Take two deep breaths. On your third inhalation, expand your abdomen forcefully exhale through the nostrils while contracting your abdominal muscles. Then inhale by letting your lungs expand automatically in a relaxed manner. 3) Repeat this forceful expulsion and natural inhalation twenty times rhythmically, emphasizing on each exhalation. The chest and shoulders should be kept as still as possible throughout the exercise. 4) After one round, inhale and exhale completely, then inhale fully and retain your breath as long as you feel comfortable. Softly exhale. The word Ujjayi can be interpreted as “control or victory arising from the process of expansion”. This breath enhances the ventilation of the lungs, calms the nerves and purifies the blood. 2) Inhale and exhale slowly and deeply by partially constricting the back of your throat. You should hear a low hissing sound and experience gentle vibrations from the throat. 3) During inhalation, the abdominal muscles are kept slightly contracted and during exhalation, the abdominal pressure is exerted until the breath is completely expelled. 4) Allow yourself to relax with this slow deep breathing. Inverted postures such as Headstand, Shoulder Stand, Downward Facing Dog, Camel Pose and Standing Forward Bend are believed to keep the hair healthy by helping to remove stress and improve blood circulation in the head. Here are two yoga asanas with slight variations (taken from the Kao Ascience website) to stimulate the head and entire scalp. 1) Lie on your back with your palms facing down. Roll your shoulders back, sliding both hands under the buttocks. 2) Inhale and lift your chest and neck off the floor with your buttocks still on the mat. Rest on your elbows and the crown of your head. To deepen the pose, use your elbows to raise your chest higher and stay in the pose while breathing normally. 3) In the pose, fold your upper and lower lips over the teeth. Raise the corners of the mouth in a smile. 1) Come to all fours position with your feet hip-width apart and hands shoulder-width apart. 2) Place the crown of your head on the floor and bring your elbows down directly under your shoulders. 3) While in the pose, open your eyes and mouth wide, folding your lower lip over the teeth. Bare the top set of teeth and raise the corners of your mouth into a smile. 4) Hold this pose and slightly move your hips forward and roll your head forward to stimulate the top of your scalp. Healthy hair is a result of treating your scalp and head in a kind and loving manner. Hair is like the flowers that bloom from a well-tended garden. How beautiful and healthy the plants turn out depend on the nutrients that are present in the soil. So remember that apart from exercising external care, we also need to pay attention to what goes into our bodies by cutting out junk food, drinking plenty of water and eating more fresh fruits and vegetables. Fuelled by the right nourishment and practising the methods mentioned above, you should be on your way to healthy and luscious locks.